Hello there! My name is Christian Dane Z. Balili. It’s quite long right? So please, call me Dane for short. I was born and raised in Cebu, Philippines, the queen city of the south, as they say (still wondering as to why though!). I’m a middle child. I have an older sister and a younger brother. They really get along with each other. I don’t. But as I’ve gotten older, I’ve put a real effort into building a better relationship with them, and phew! – it’s working pretty well. I went to a semi-private school when I was in elementary. For my high school education (we have no Junior High School in the Philippines) I attended a public school, as private high schools were very expensive during the 90’s. I was doing great at school during the first few grades of elementary, but it all changed when MMORPG’s (massively multiplayer online role-playing games) were introduced in the 4th grade. I was hooked! I played computer games until I was in high school – even cutting classes to play. Of course a severe scolding from my parents followed when they eventually found out. But don’t get me wrong! I still did my best at school. I didn’t want to disappoint my parents with my grades, so I tried not to fail in any of my subjects. One of my all-time favourite subjects at High School was T.L.E. (Technology and Livelihood Education). We did a lot of computer studies including things like designing your own webpage, but now as life has moved on and I have excelled in other areas, I am struggling to remember the codes and scripts. I used to dream of finishing three courses in college when I was in high school. I wanted to be an IT Engineer for the first 2 years of college and get the necessary skills and knowledge to start up my own computer shop. Once I had enough money put aside, I would then study Marine Engineering and be a Seafarer (or ‘Seaman’ as Filipinos call it) for about 5-10 years. Then when I’m around 30-35 years old, I would marry someone and settle down, studying a medical degree and be a doctor for the rest of my life. However, at the time I was about to graduate high school, the course “Nursing” was very popular for Filipinos as an attempt to help their families rise out of poverty. My parents convinced me that if I did become a nurse, our family would be very rich in the future. Because I didn’t want my parents to be sad, I decided to follow their dream for me. I studied Nursing from 2008 to 2012, obtained a Nursing License in 2012 (which I got after the first take of the Licensure Exam). But after getting my License, I felt the need for a break from what my parents wanted from me. I started following my own path, which has led me to the life I have now. In short: I didn’t pursue a nursing career (I never bothered applying to a hospital). I decided to explore my options which led me to the ESL (English as a Second Language) World as well as a small stint of working in the BPO industry. I decided to stay working as an ESL Instructor as it was really working out for me. I love teaching people and this kept me more than happy with my job. The BPO Industry pays a lot but I wasn’t happy with it and I always felt tired because of the work schedule (night shift as the account was in North America). Interestingly when I look back, working for the BPO industry (although for a short amount of time) was a great help with my command of the English Language. Then working as an ESL Instructor, it also made me realise my flair for languages. I was able to learn Korean and Japanese while working as an ESL Instructor. This greatly benefited my students as they could say what they want in their own language, and I then help them say it in English. I worked for a Japanese company in 2014 and during that time my Company Manager took me for a vacation in Japan. I fell in love with Japan and from that moment I dreamed of living in Japan someday. I worked hard in my company and did my best to save as much money as possible to enable me to move to Japan. It was frustrating because of the cost of living in Japan is high and I still needed to support my living costs in the Philippines. 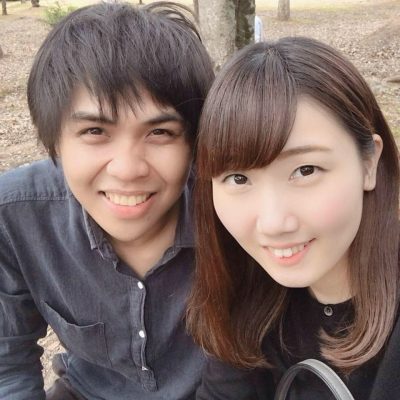 In 2016, I met a Japanese girl, who has now been my girlfriend for 2 years. Having her in my life greatly increased my desire to live in Japan. I approached my parents for help with supporting me, and with every bit of money they had left, they supported me. With every ounce of savings I had along with the money my parents gave me, I was able to go to Japan. And finally, I am living the dream! I now live in Japan, working as a foreign instructor teaching young children English. I usually teach in the afternoons leaving me with a lot of free time in the mornings. This made me think, “what if I make use of that free time instead of just going through Facebook or watching The Big Bang Theory?”. And so I decided to stay busy growing my skill-set so that I could earn money to repay my parents as well as help to build a future here for myself and loved ones in Japan. For a copy of Christian’s resume please click here.